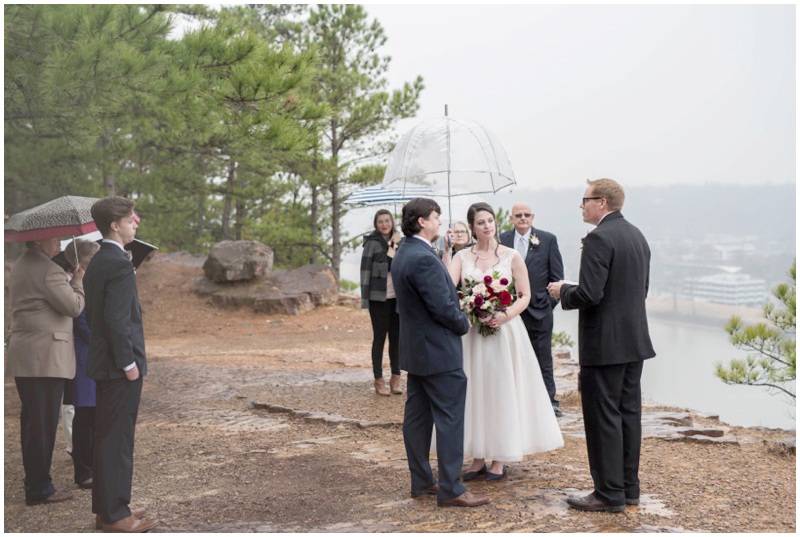 Emerald Park is one of the hidden treasures of North Little Rock, Arkansas. 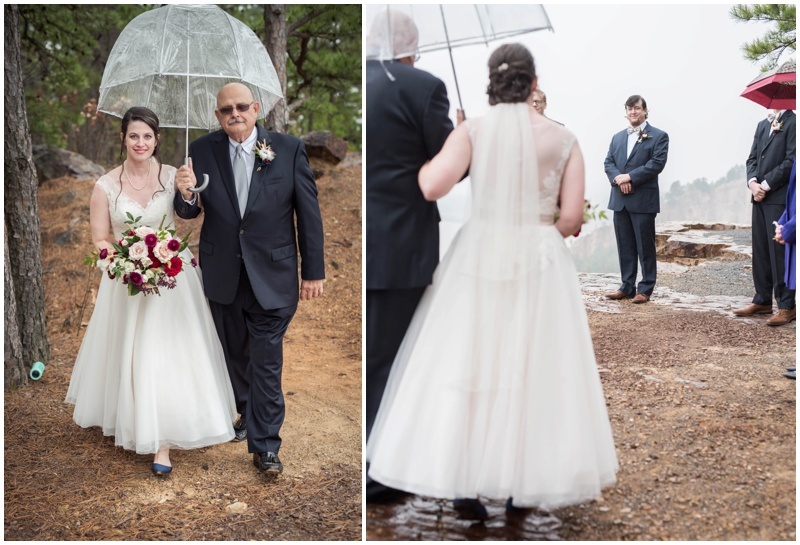 When Erica contacted me about her December wedding, she mentioned that she was thinking about Petit Jean State Park (one of the most beautiful state parks we have in Arkansas). 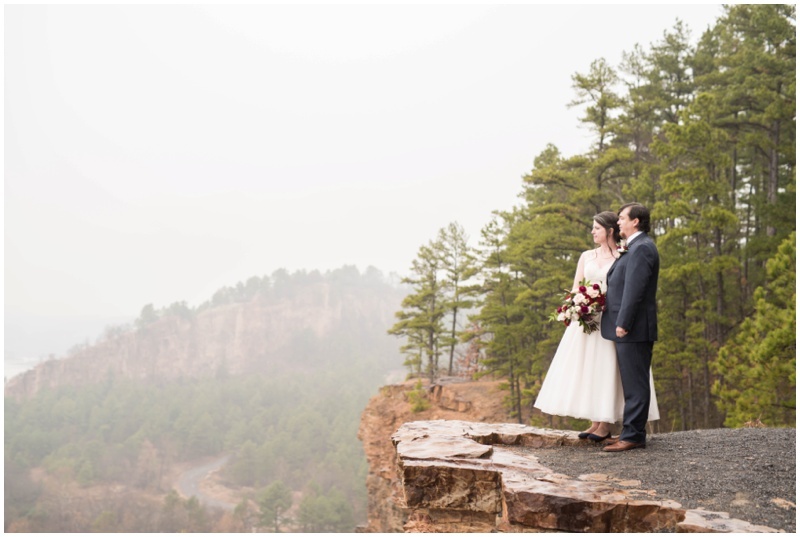 So I knew what vision she had in mind but since she lived only minutes (literally) from Emerald Park, I suggested she have a look there. 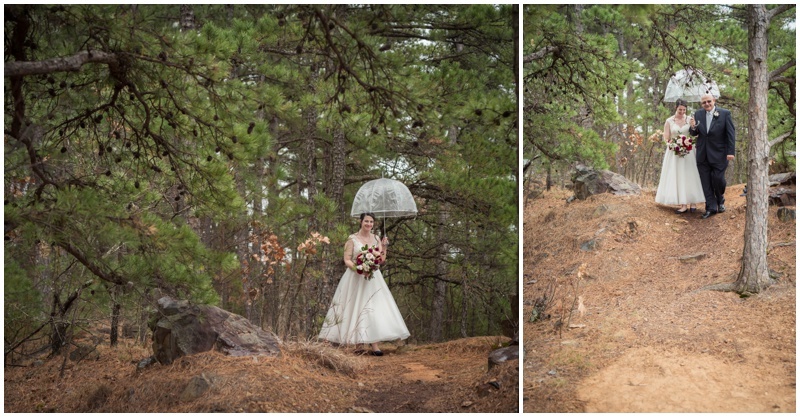 Erica and Denny were having a small and intimate wedding with only family, they decided Emerald Park was perfect. 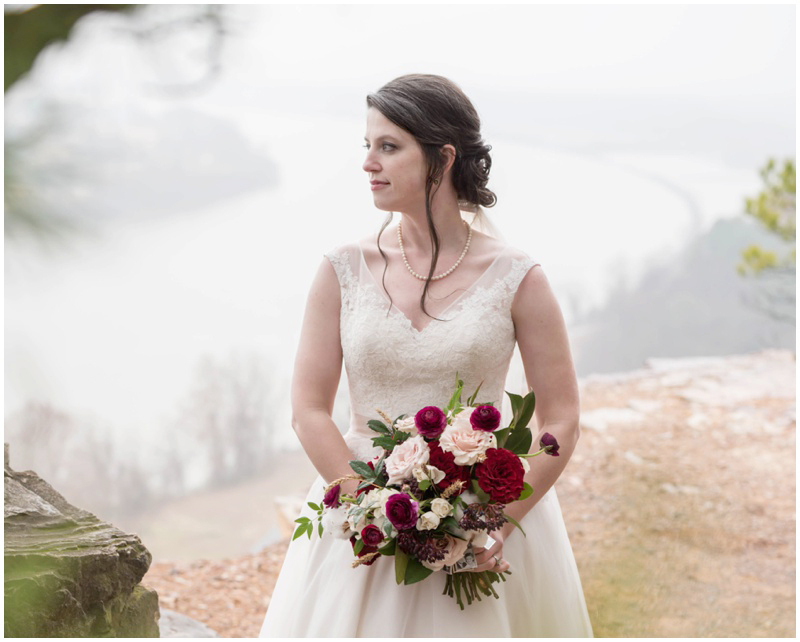 Emily Wright of Julep Floral, was asked to handle the bridal bouquet and the rest of the floral designs for the day. 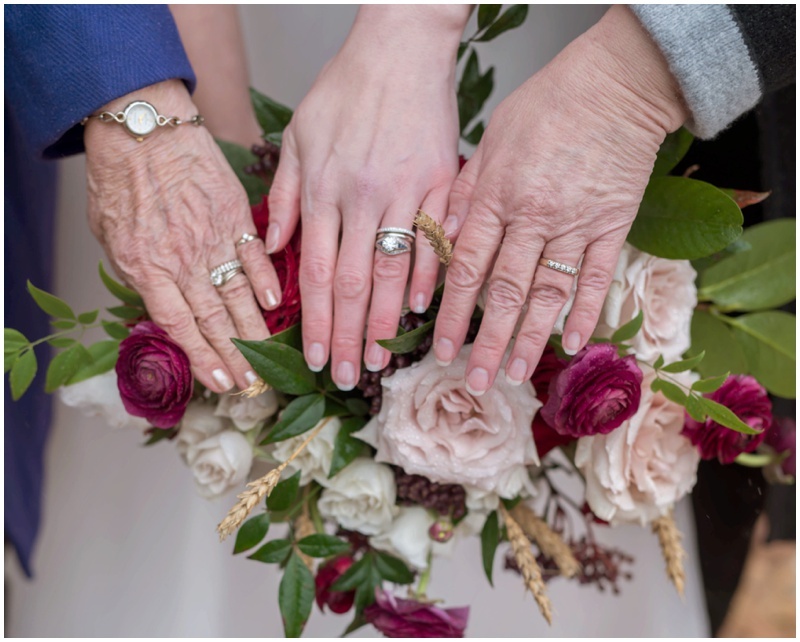 The bride has saved some very special items from both of her grandfathers that had passed away several years before. 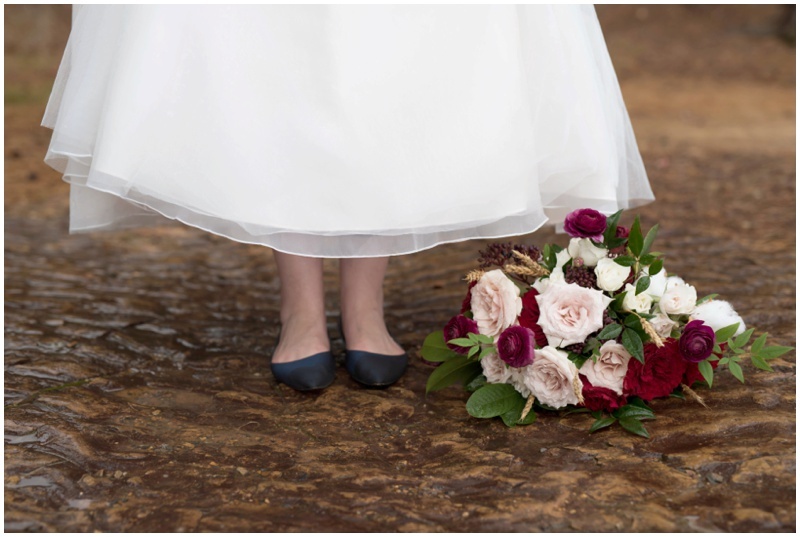 Cotton bowls from one grandfather’s cotton fields and wheat stalks from the other’s wheat field. 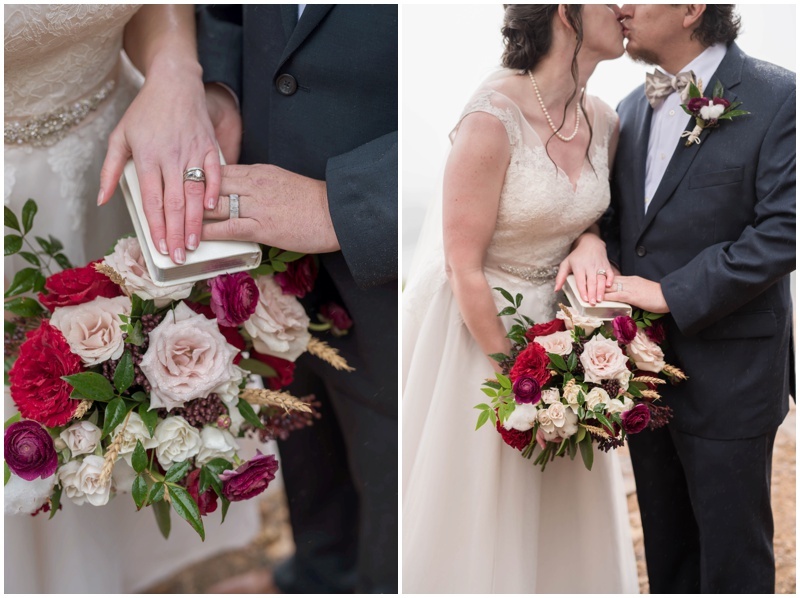 I was so impressed that she was able to preserve both of these items and equally as impressed that Julep Floral did such a wonderful job of implementing them. 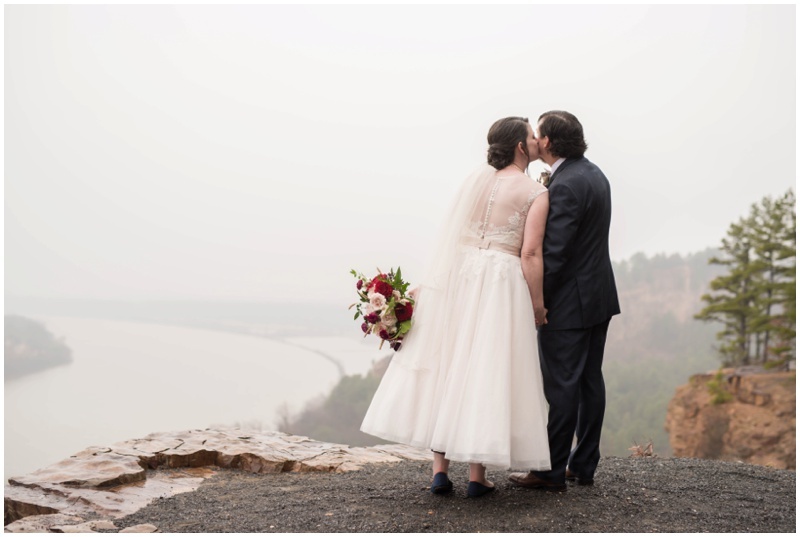 So high above the Arkansas River, Erica and Denny were married on a cold and foggy afternoon. 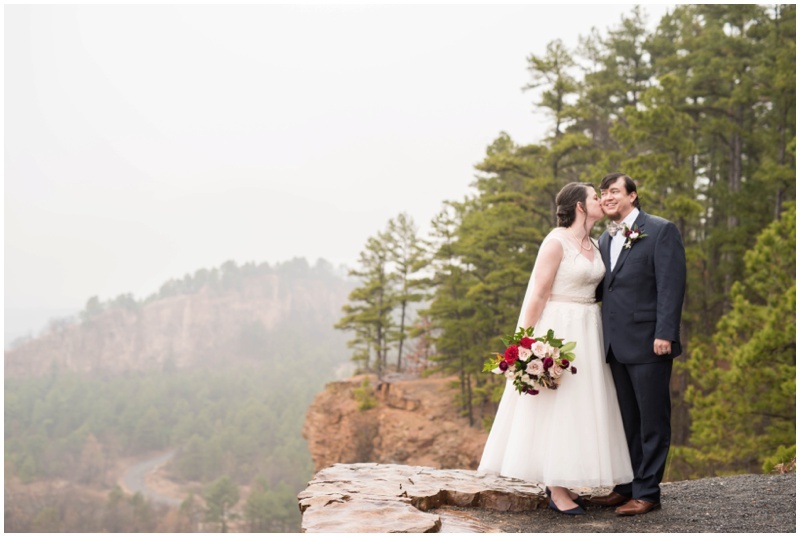 The sun might not have shown and the mist a little too heavy, but it wasn’t enough to to put a damper on the love and joy of their wedding.